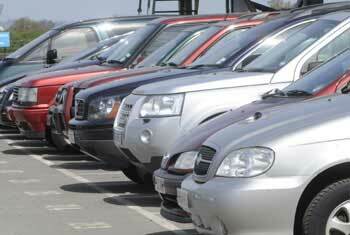 Meet and Greet parking at Heathrow starting from just £8.50 per day. Of all the Heathrow airport parking options we offer, our Meet and Greet packages continue to be a firm favourite with customers. It's probably because they're the most convenient and hassle-free way to park whether you've got a lot of luggage, a hectic schedule, or you're just looking for an effortless airport experience. Pre-book your Meet & Greet parking at Heathrow through Holiday Extras for up to 60% savings on gate prices, but remember to do it sooner rather than later - the earlier you book, the better the price is likely to be. How do our Meet and Greet packages work? All of our Heathrow Meet and Greet packages are quick and easy - there's no searching for a car park or hunting for a space. Depending on which package you opt for, you may need to ring the car park to let them know your coming, but this will all be explained in your confirmation. When you arrive at the airport, head to the terminal to drop off your car, hand over your keys, and take the short stroll to departures. Returning from your holiday is just as easy - just ring your chauffeur on the number provided to arrange pick-up. No matter which Meet and Greet package you book, you can be confident that your car is parked at a secured site - all our Meet and Greet car parks are under 24 surveillance and surrounded by fencing. We have a variety of Meet and Greet packages available to pre-book. Our newest addition, DriveFly, is also one of our cheapest options and offers services for all 4 terminals. Maple Manor are an old favourite with our customers due to their friendly staff and prompt service, and if you're flying from terminal 5 look out for the premium No Wait Guarantee package, which does exactly what it says on the tin. 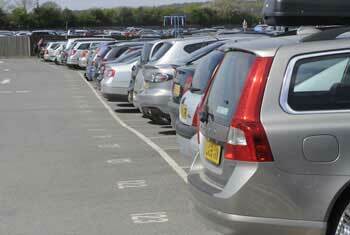 We also offer Ace and Purple Parking, who meet their customers in the terminal-specific short stay car parks. We would recommend either of these for those with lots of luggage, as their meeting points are less busy than the drop-off areas outside the terminal, so you'll have plenty of time to unload.